I wanted to show you a Halloween lantern swag I recently made for one of my good customers. She asked me if I could make one for her and of course I wanted to accomodate! I actually made two of these and sold the other one before I could list it in my shop! My supplies came from all over..but the witch hat and most of the ribbon are from Hobby Lobby. Love the glittered pumpkins and glittered curly sticks from Michael's. Oh how I can't wait to start Christmas!!! I have so many ideas for these. I am going to Dallas on Sunday and will be back Wednesday. I am going to market to look for several things including Christmas items. I will be shutting down my Etsy store for a few days starting Sunday. There are still a few things left, but I haven't added much since I'm leaving. If you would like something I can ship it out tomorrow. I am finishing up custom orders and will be on my way! I will be updating my facebook page while I'm in Dallas so come along with me! Welcome to Share Your Creations party #56! I hope you will link up and join in the fun! 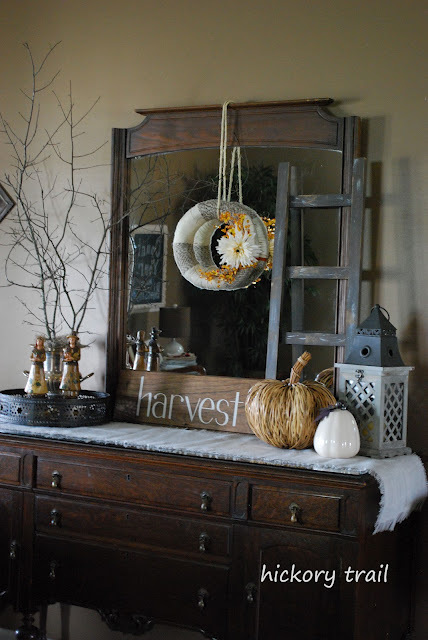 I know I am stuck on fall right now...there is just so much inspiration out there! Priscilla made this subway art from an old display shelf and stamps. Cute! Kathy at Sharing Shadymont used burlap, a tree stencil, and jute twine to refurbish an old pillow she already had. It turned out great! 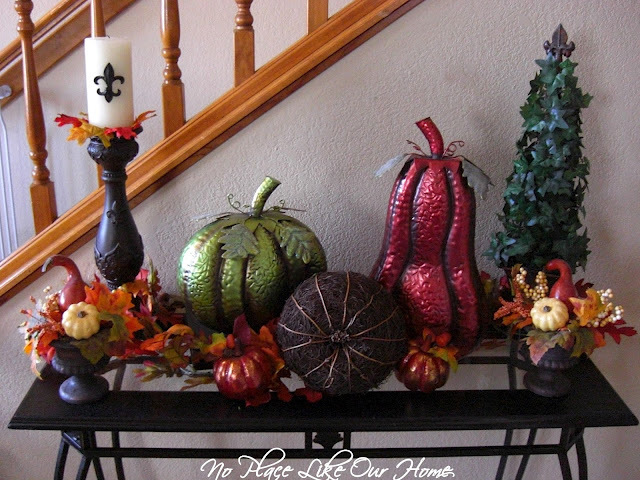 Ally at No Place Like Our Home has decked out her foyer for fall. 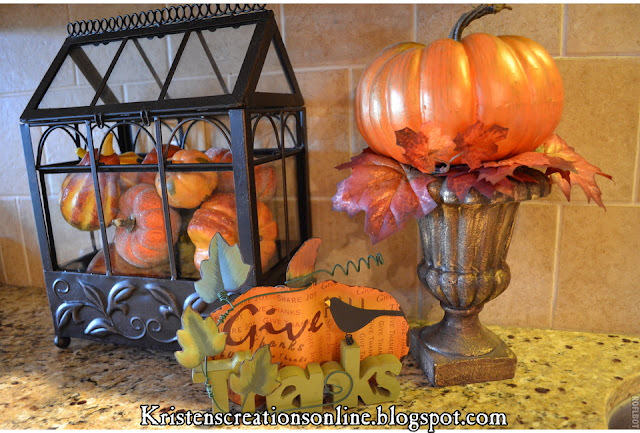 Love the metal pumpkins! Since I'm so into fall right now I thought I would share more items I recently added to my Etsy store. 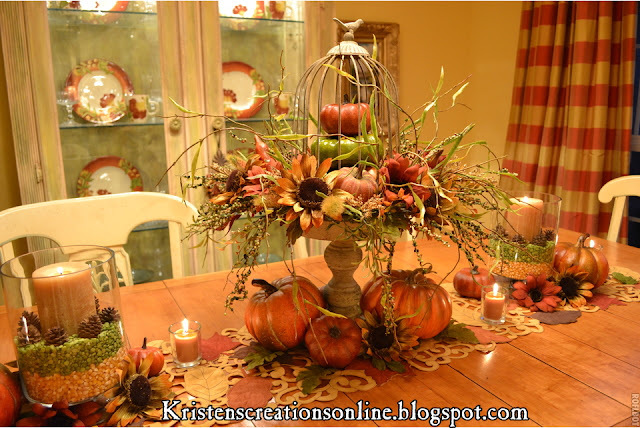 This centerpiece if full of rich fall colors! I sat this frame by the arrangement and they look beautiful together! There are a few lantern swags available...more to come! Please add a link back to my blog so others can find the party. Thank you! I am officially ready for fall! Ok...except for the outside, I haven't started out there yet. I'm still waiting on it to cool off so I can plant some pansies and put out some mums. As for the inside I think I'm done. 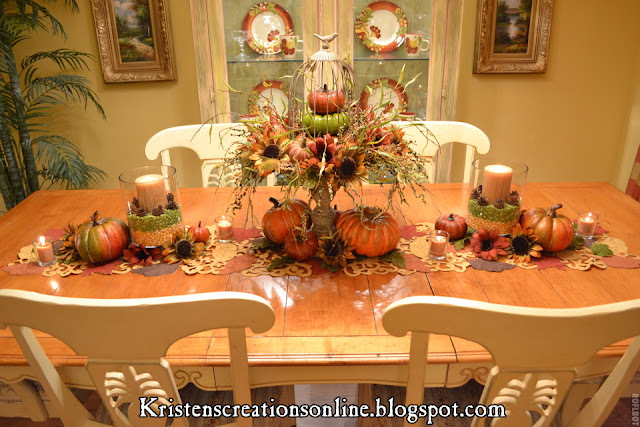 I usually add fall accents to the living room, dining room and kitchen. Fall just seems to fall right in with the colors of my house! ;) I just love the rich rusty reds, oranges and golds. I really like the look of the layered beans, peas and corn I have in the kitchen and decided to do something similar in here. I added corn and split peas and instead of beans and added pinecones and candles. I also added pumpkins, flowers and votives around the base of the cloche and candle holders. 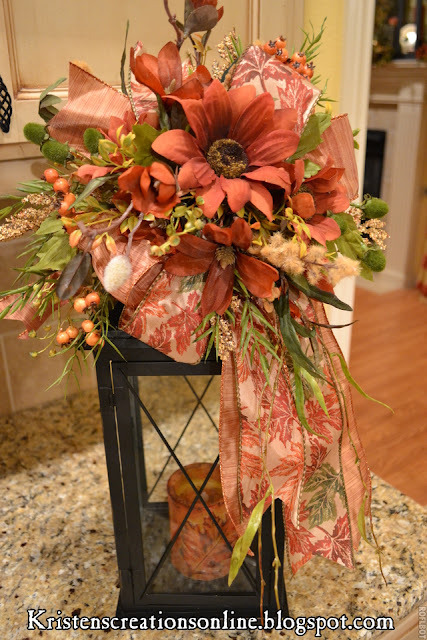 Looking towards the mantle...I found the table runner at T.J. Maxx last year and still love it. 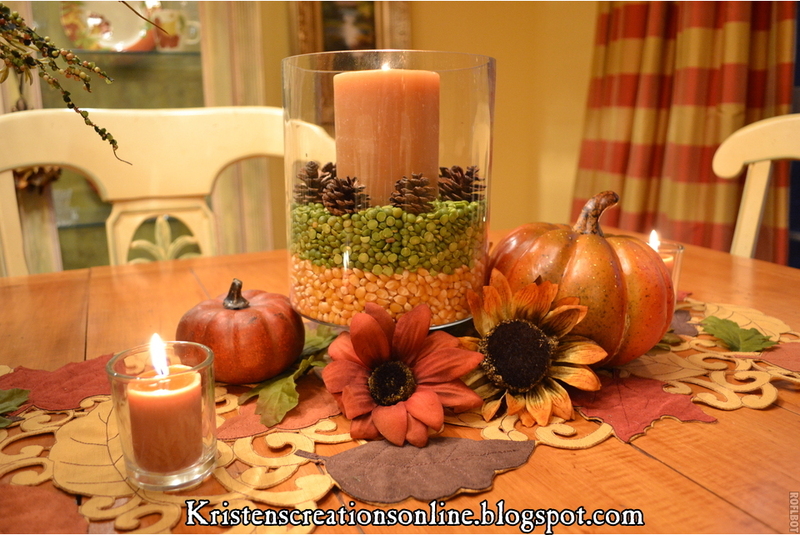 Here is a closeup of the corn, peas and pinecone candle holder. I already had the clear containers from Christmas. Here is a closeup of the birdcage with the stacked pumpkins. 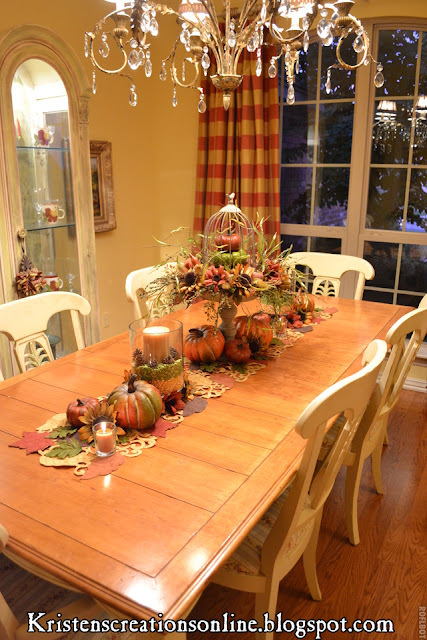 I used the same sunflowers I used on the mantle so the dining room and living room have a nice flow. Here is the whole table...warm and inviting when you walk in the door. There were 179 entries and three winners and they are Mandy Stucke, Dana Teare, and Mary Steinbeck. I will be sending you an e-mail with special instructions on how to order your cases. If you did not win be sure and are interested in the iPhone cases please visit Metal Photo Company to purchase one for yourself. They also make great gifts! Welcome to Share Your Creations party #55! I hope you will link up and join in the fun. There is so much creativity out there we are waiting to see! 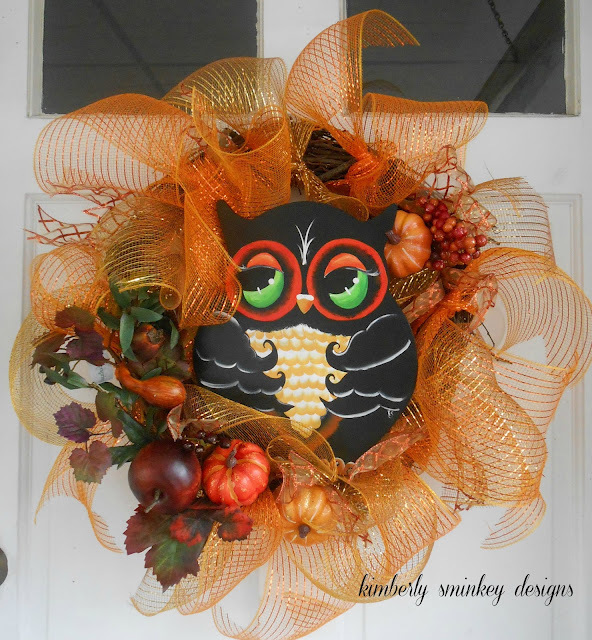 Kimberly at Tiaras And Bowties made this adorable wreath and even hand painted the owl! She also sells the owls in her Etsy shop and has this wreath for sale too. Love it! 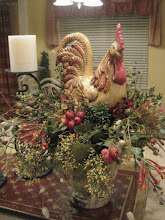 Gayle at Gayle's Decorative Touch always creates the most beautiful vignettes. Her hubby made the table and she painted it. She also made the clock face from a graphic. They both turned out great! 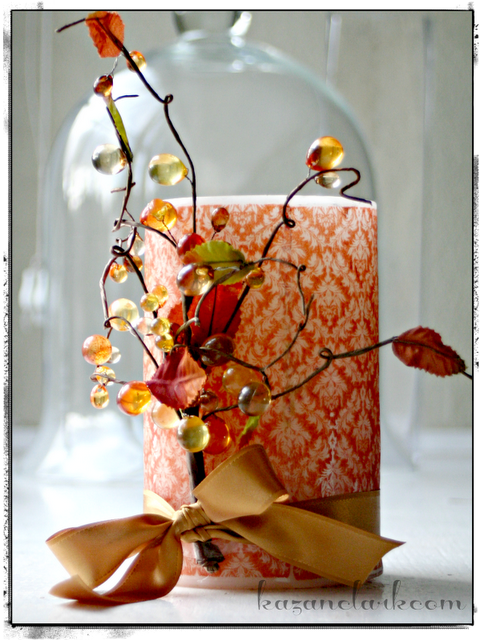 Kazan Clark created a beautiful candle using a stamp from JustRite Papercraft. Visit KazanClark.com for the tutorial. What a beautiful way to dress up a candle! For my creations I thought I would show you some new fall items I just added to my Etsy store. There are more items than what I have shown here on my blog so be sure and check out my store. Fall is in the air! 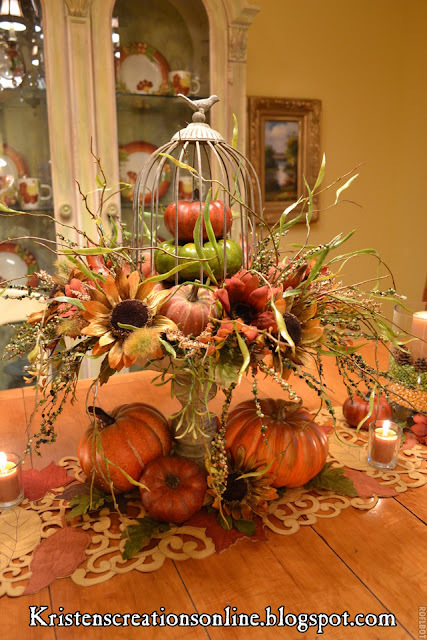 This pumpkin arrangement would make a great centerpiece! I sold one of the rooster arrangements I posted tonight, but have this cute little spotted roo in my shop. How about a scarecrow tassel? He is so cute hanging on my china cabinet. There are a few lantern swags in my store. I'll be making more soon. The iPhone case giveaway is still going on HERE. 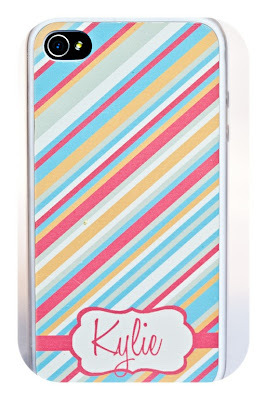 Enter for your chance to win one of three custom iPhone cases! I will draw 3 winners on Monday. Good luck!! I have a great giveaway for you! 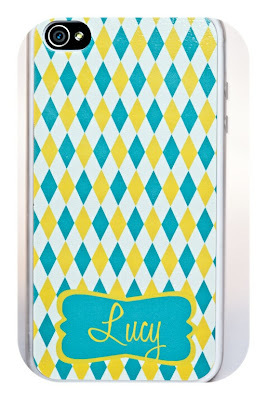 My friend Lisa at Metal Photo Company is giving away 3 iPhone cases to 3 lucky winners. 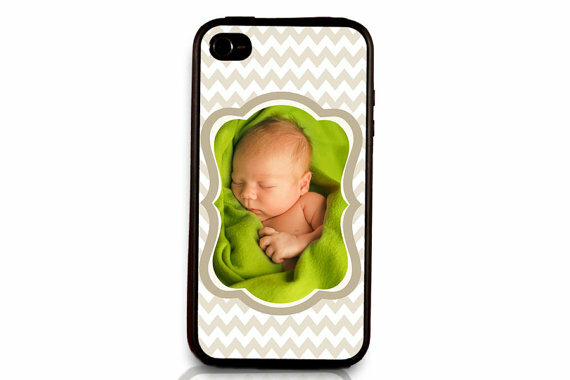 These cases are stylish and durable and there are several design options to choose from. You can upload your own photo and have it personalized with your name or initial. Or...if you would rather have something with a pretty design she has several options to choose from. They can also be personalized with a name or initial as you will see below. What a great way to show off a family picture! Here are some with pretty designs that can also be personalized. Here is the one she made for me. I love it! 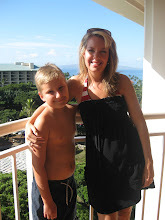 This picture was taken on our trip to Jamaica this summer. It has held up very well. The sides are thick and do not collect dust and hair like some of the flimsy rubber ones I have had in the past. The picture has stayed in perfect condition even in my cluttered purse. It is very well made! Visit Metal Photo Company for more design options. I will be hosting more giveaways from her in the future. She also does beautiful canvases and photos on metal which is one of the newest things out there. All you have to do for a chance to win is enter your name and e-mail address below. For a second chance to win share this giveaway on your blog or facebook and come back for a second entry. Please leave me a comment telling me where you shared the giveaway. The winners of this giveaway will be chosen 9/23/12. Only one week to enter! Welcome to Share Your Creations Thursday! In this case Friday...I had so much to do yesterday I knew ahead of time I would not get this post done on Thursday. Anyway, I hope you will join in the fun even if it's a little late! So many great links last week!! I appreciate all of you who joined. 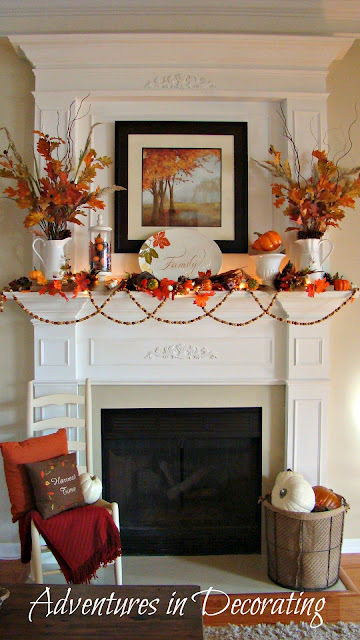 My friend Becca at Adventures In Decorating did a beautiful job decorating her mantle for fall. The pops of the vibrant oranges are stunning against the white mantle. Love it Becca!! 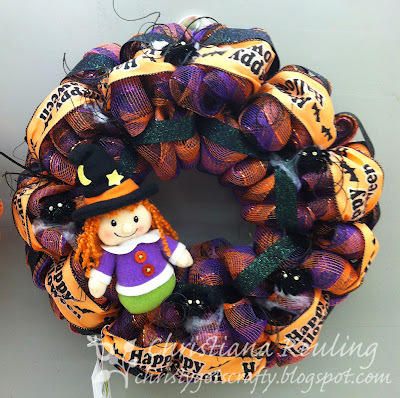 Christina at Christy Gets Crafty made this cute Halloween mesh wreath. Check out her blog for more designs. Mesh sure is the thing right now! 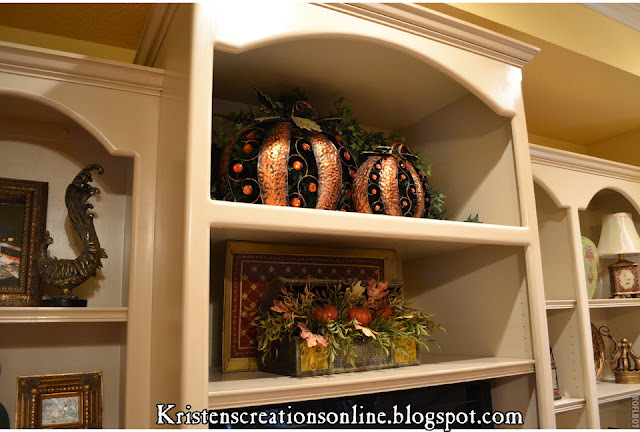 Angela at Hickory Trail Blog created a beautiful fall vignette on her buffet. 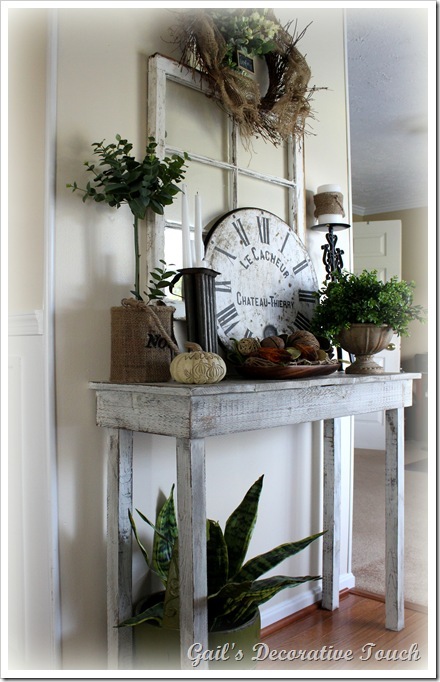 Love the tall sticks in the vase. Yum! 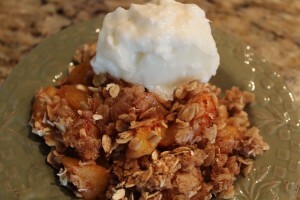 Doesn't peach crisp with vanilla frozen yogurt sound good? Visit JodiFitz.com for the recipe. 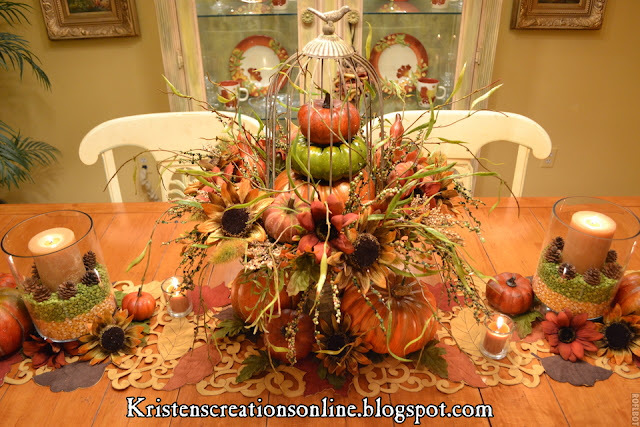 For my creations I thought I would show you a little more fall I added around the house. I'm still working on some areas including the dining room table. It's looking more like fall here every day. 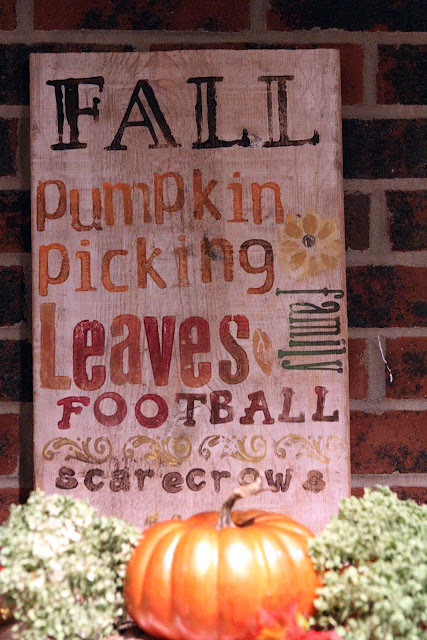 It's also feeling more like fall...it's only 79 degrees here today! It's a little rainy, but it still feels good for a change. This is in my kitchen by the sink. I added some pumpkins in the glass terrarium a "Give thanks" metal sign from Hobby Lobby and a pumpkin in a pot. 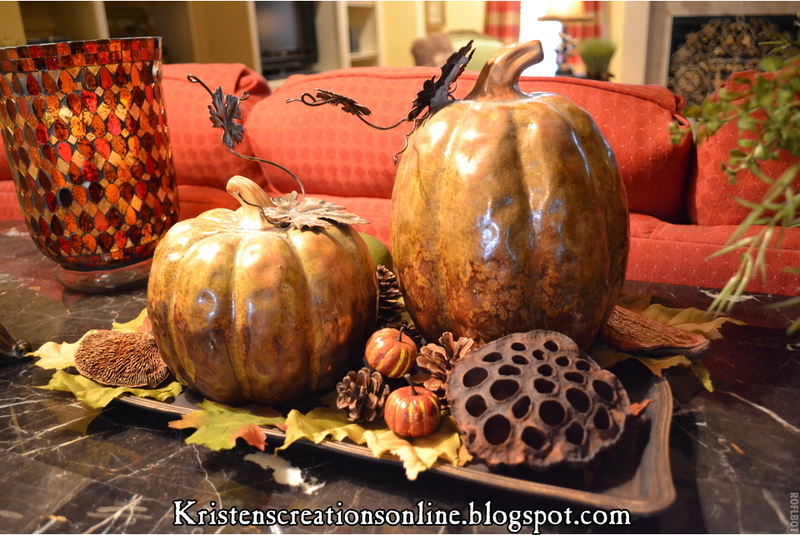 I added two ceramic pumpkins, silk leaves and other dried materials to a tray on my sofa table. I found the pretty mosaic candle holder at Pier 1 Imports. are so sweet!!! I truly appreciate each one! I am truly honored to be in the magazine! Here I am in the kitchen cooking away! Ok, so if you read the article you will know that I am not chief cook! Ha! I can whip up something when I have to though. 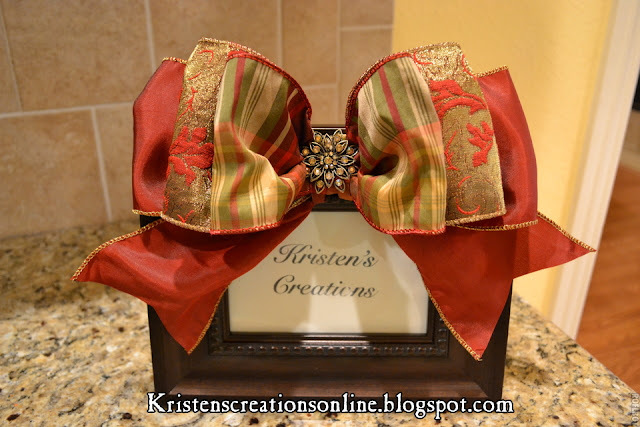 Here they show some of my fall crafts, rolls of ribbon, and me working away! 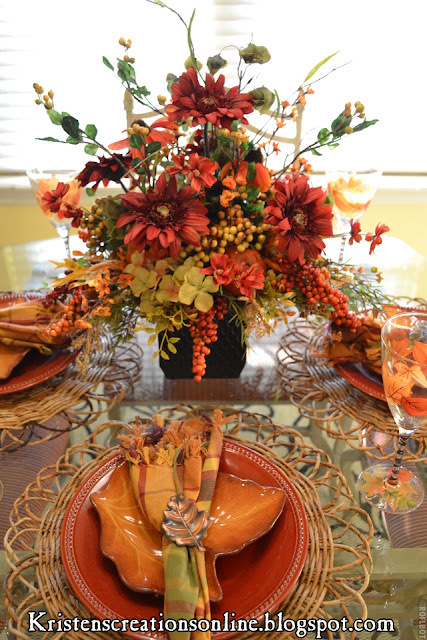 There are even a few tips on floral arranging and decorating. 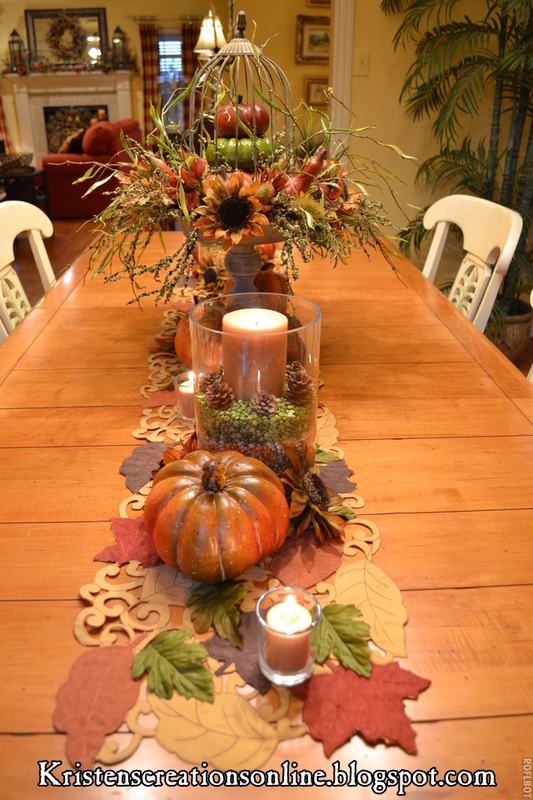 This is a fall tablescape on my dining room table. There is also a picture of me, Kevin and Chase in the corner. If you want to pick up a copy of this magazine this is the one to look for. It is just now coming out on stands and you can find it at Wal-Mart, bookstores, and most grocery stores. You can also subscribe to it here. You can read about my kitchen updates on their website here. 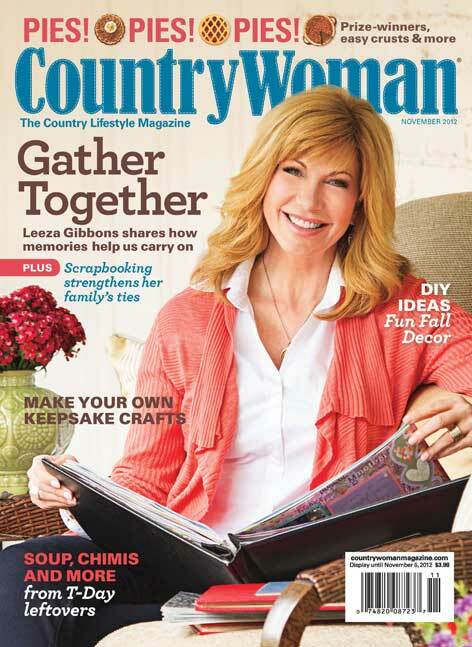 Thank you Country Woman Magazine for this exciting feature!! I am going to move my Share Your Creations party to Friday this week so be sure and come back to join the party. Also, There is a wondeful giveaway planned for Monday. 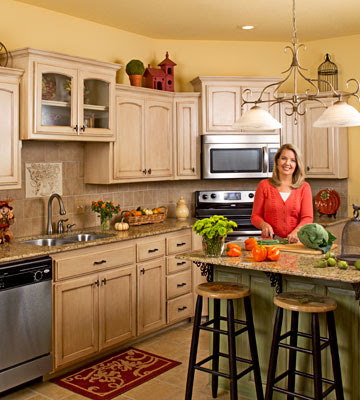 My friend Lisa has two online businesses called Canvas Design Company and Metal Photo Company. She is going to give away some custom iphone cases. She sent me one and I love it! Be sure to come back for that too.